Generally speaking, I don't like playing golf according to numbers, but there's one formula that seems to work pretty well. When you're in a bunker, and not buried, swing at the ball with about the same force you'd use for a fairway shot of twice the distance. 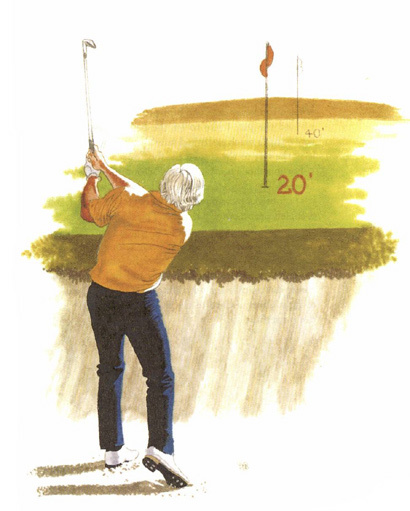 In other words, for a standard bunker shot of 20 feet imagine that you have a pitch shot of 40 feet.